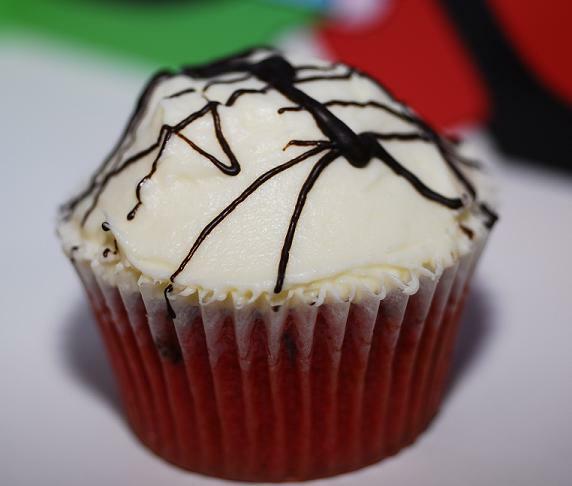 Red Velvet - Rich red vanilla cake with a dash of wonky dark chocolate and cream cheese butter icing. An America favourite! moreish. 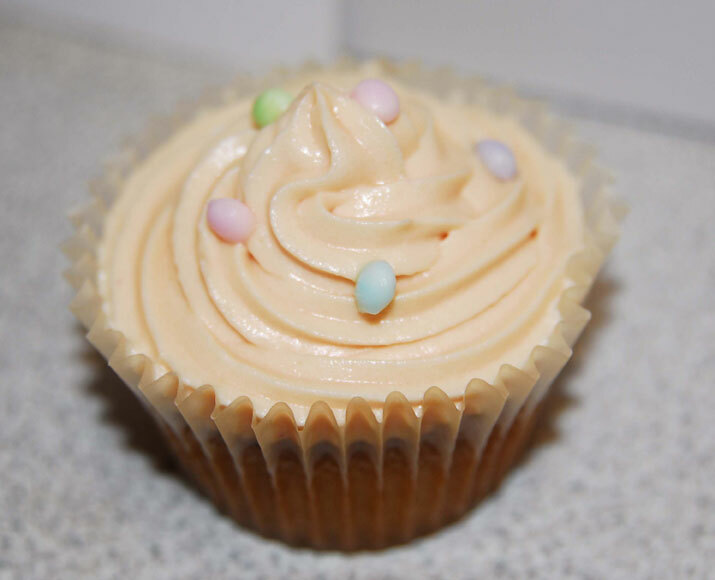 Why not tell us your favourite cupcake flavour and if we like it - we can be kind of fussy now - we will feature it here on our site. Based in Aberdeen Scotland we make the cakes to order so have a look at some of our cakes so far. If you see something you like we can make it otherwise just asked for a mixed dozen and we will surprise you! Gorgeous, delicate parcels of decadent sweetness. 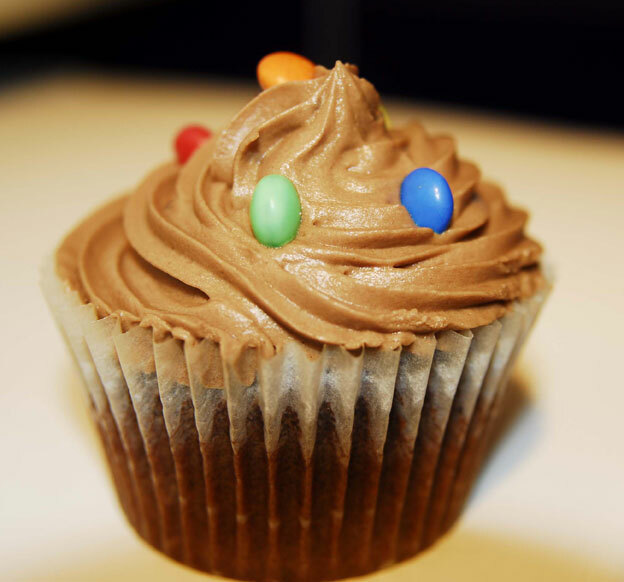 How can you eat just one of these. Ok if you want to look like a stick insect just eat one but I can't promise you won't be wanting more. We only use the best ingredients and bake them fresh to order. 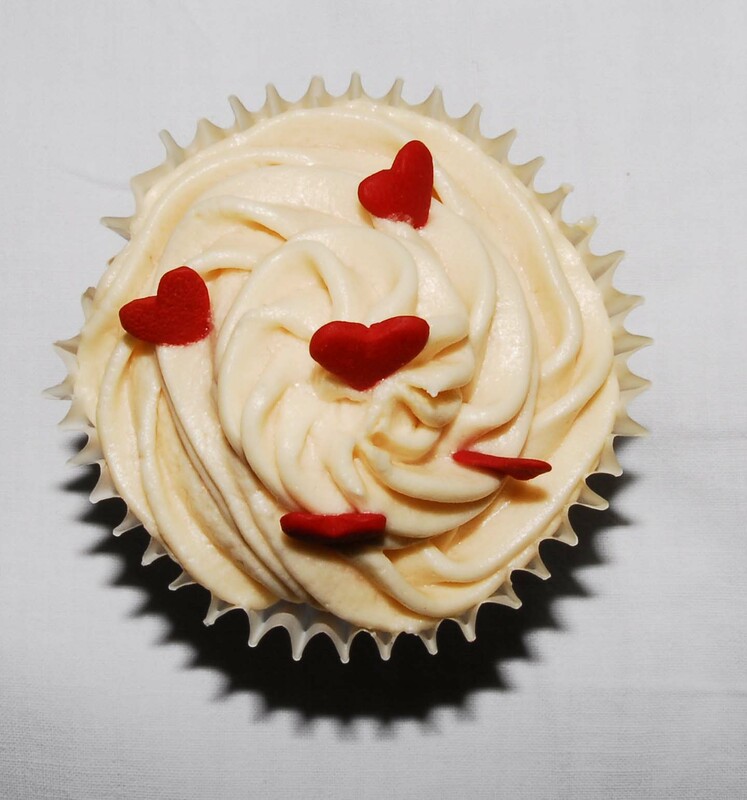 We have two standard flavours to choose from Vanilla or Chocolate, and New Red Velvet and American favourite, a rich red vanilla cake with cream cheese butter icing with a little bit of Venezulan Black cocoa to give it a hit hurry while stocks last once they run out there are no more. 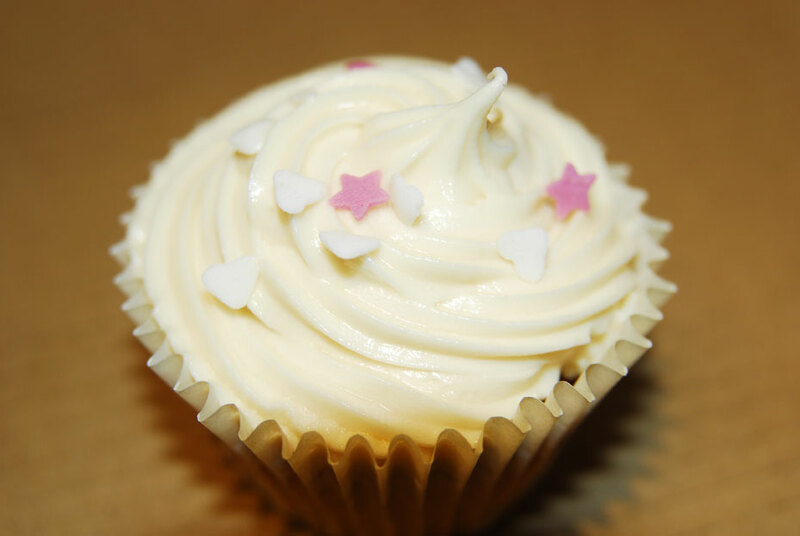 Why not treat someone special today 12 sweet treats boxed from £22.00 GBP. 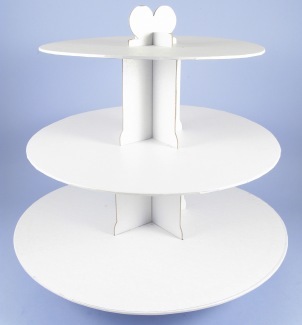 We have a number of cake stands to hire or buy depending on the size of your event call us to discuss your unique requirements. 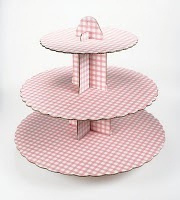 These disposable gingham stands can hold up to 36 cupcakes and are perfect for smaller functions. 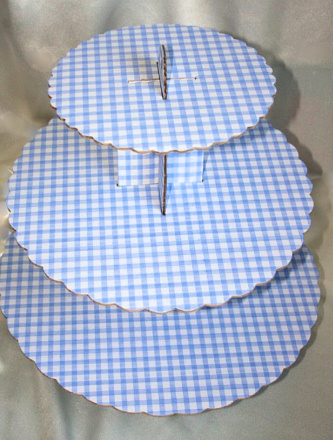 They are available in both blue and pink for £8.50 each with your order. Just a special thanks to Norman, Adamsphotographics@yahoo.co.uk for the fabulous centre pictures on my site. We did eat the cakes after the photoshoot he does weddings, parties anything too and if you want to see more email him.